Even if you’re not planning to sell right away, you’ve probably considered doing some work on your home. We live in the age of the DIY Network and HGTV. At any given time on a multitude of channels, you can indulge in home repairs, gawking at homes that boast granite counters, new hardwoods and the latest design trends. It’s enough to give anyone the urge to remodel. But, which projects produce the best return on investment? Certain renovations pay off better than others, and the best investments may surprise you. US News and World Report says that a new steel entry door can return almost 91 percent of its cost to the resale value of your home, while a snazzy new garage door can return up to 85 percent of its cost. On the other hand, USA Today reports that a new roof actually offers a bad return on investment, when selling your home. Typically yielding less than 60 percent return of cost, this is an item where you can afford to be frugal. As long as your roof is functional, it’s probably good enough. It’s also a bad idea to invest in specialized spaces such as home offices or media rooms, which usually yield a return of less than half their investment. The traditional wisdom says that money for a kitchen or bath remodel is well-spent. The average price to remodel a kitchen in Philadelphia runs from $14,037 to $29,477. Consider the houses in your neighborhood. Buyers expect that a house is in working order, so make necessary repairs and ensure all systems are functioning properly. If you choose to make improvements, be aware of the discrepancies between cost and value. If yours is the only house that doesn’t sport a nice wooden deck, then you can make sure you’re competitive by adding one. More modest kitchen and bath remodels have, on average, about a 79.3 percent return on investment. But a fancy chef’s kitchen with a Viking range and granite countertops may actually limit your potential buyers, if it makes the house much more expensive than its neighbors. 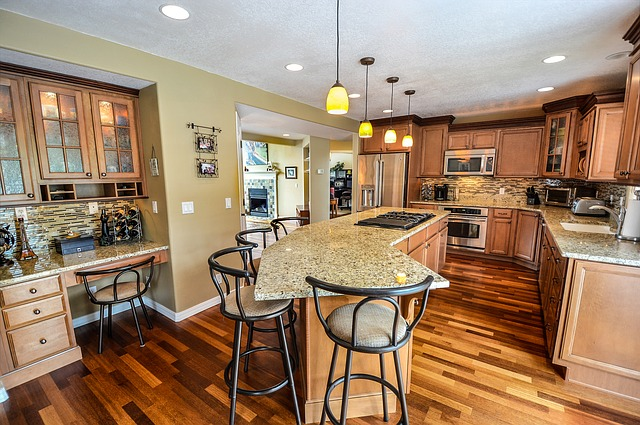 Keep your selling price competitive and ensure that any remodeling costs are factored into that price. You can spruce up a tired kitchen or bathroom by incorporating less expensive updates, like new flooring and a fresh coat of paint. All home improvement projects are not created equal. While adding or updating a space in your home can make it more appealing to buyers, shoddy construction or cheap fittings can actually hurt your home’s resale value. A bad remodel or addition can make potential buyers afraid to purchase. If they can see poor work on the outside of the walls, what might be hiding inside them? Make thoughtful decisions about any project and always check out your contractors’ reputations and their performance on previous jobs. You’ll want to ensure that your home improvement project works for you, not against you. So keep in mind that you are trying to appeal to the largest pool of potential buyers that you can. Turning two bedrooms into one large master suite will inevitably lessen the number of people who might want to purchase it. Some families with small children automatically discount any home with a pool. Wall-to-wall carpeting and color-matched wallpapers might make your home prettier to you, but your preferences are unlikely to be universal. Choose interior design schemes and colors in a neutral palette that can coordinate with a wide variety of tastes. When considering which home improvement projects will reimburse themselves at sale, its best to think small scale. Make necessary repairs and beautiful the home with easy, inexpensive projects like repainting. Always keep in mind that you want to appeal to the largest group of buyers you can, and that you’re competing with similar homes in your Zip code. Know your market and price your home accordingly, and keep your expenses within that price point. If you follow these tips, you should look forward to a nice return on your expenses when you sit down at the closing table.